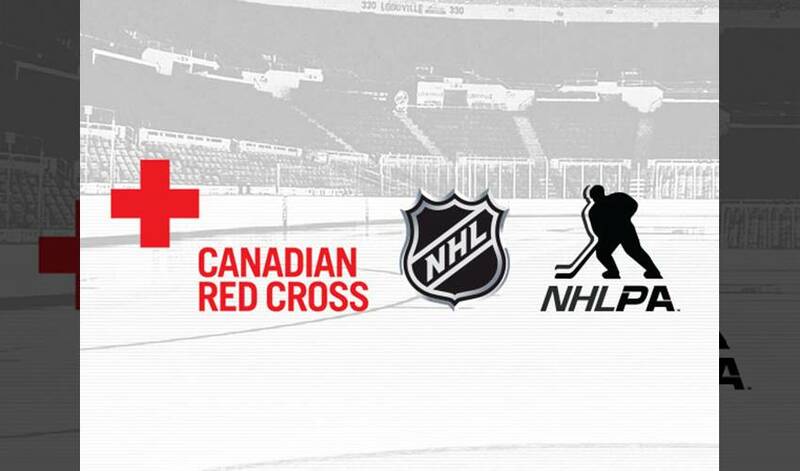 NEW YORK/TORONTO (July, 11, 2013) – The National Hockey League (NHL) and the National Hockey League Players’ Association (NHLPA) announced today the organizations will jointly donate $100,000 to the Canadian Red Cross for Alberta flood relief efforts. This donation is aimed at helping those people who have been most affected by the widespread flood damage throughout the city of Calgary and province of Alberta. The Scotiabank Saddledome, the Calgary Flames’ home arena, was one of the many places hit hard by the flooding. "The National Hockey League is very proud to join with the NHLPA to support the many people who have been affected by the devastating flood damage in Calgary as well as the Province of Alberta," said Bernadette Mansur, Executive Director, NHL Foundation. The charitable arm of the NHLPA, the NHLPA Goals & Dreams fund is providing the players’ $50,000 donation. The NHL’s charitable arm, the NHL Foundation is providing the NHL’s donation of $50,000. “The NHLPA and NHL are proud to be able to make this donation to the Red Cross to help with the massive relief efforts taking place to support the people of Calgary and the province of Alberta,” said Devin Smith, Chairman of the NHLPA Goals & Dreams fund. The Canadian Red Cross is a member of the International Red Cross and Red Crescent Movement, which includes the International Federation of Red Cross and Red Crescent Societies, the International Committee of the Red Cross and 187 National Red Cross and Red Crescent Societies. Their mission is to improve the lives of vulnerable people by mobilizing the power of humanity in Canada and around the world.